It was our two-year wedding anniversary near the end of June. But due to our insanely busy schedules, coupled with a somewhat last minute gallbladder surgery I was notified of, we didn’t get the chance to plan an eventful celebratory weekend this year as we had hoped. When I found out that our friends at La Marca Prosecco prearranged a surprise weekend getaway for Kyle and I to celebrate our belated anniversary, we were ecstatic! It’s not often that someone plans on my behalf, so I was incredibly appreciative of this thoughtful sparkly gesture. 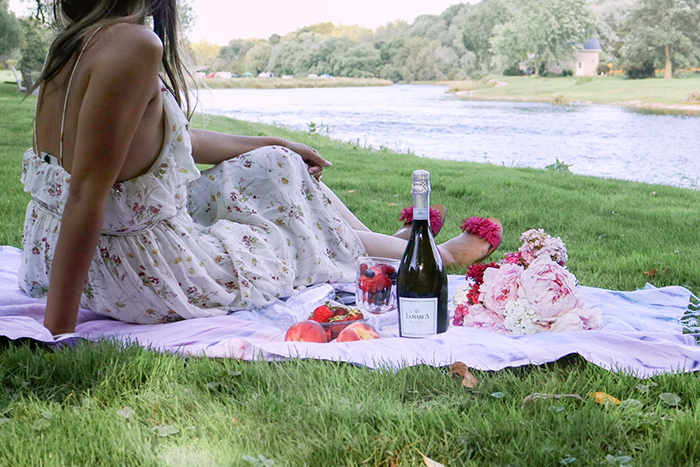 Our weekend was full of surprises, great eats, adventures, and lots of La Marca bubbly while relaxing, of course! We started our adventure by checking into Olde Bridge Place in West Montrose, a private inn situated by the Kissing Bridge, in a small town just outside of Elora. I’ve not ever been to this part of Ontario before and wow! Dee, the owner of Olde Bridge Place was such a fabulous hostess. 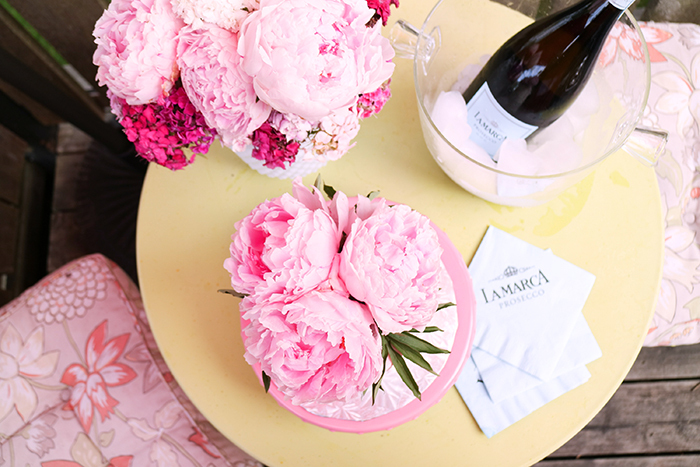 She had worked hard with the La Marca Prosecco team to dress the entire place with bundles of fresh peonies (my favourite! How did they know?) 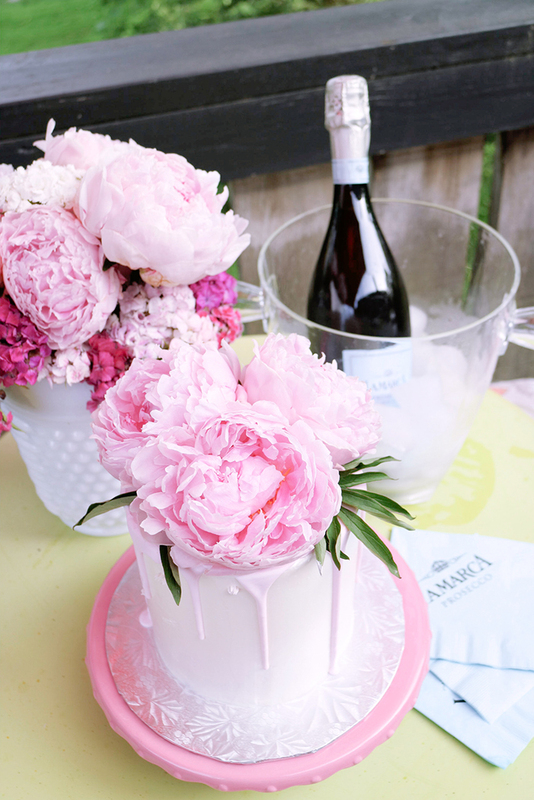 and greeted us with a La Marca Prosecco infused cake made especially for us by Master Chef Canada winner, Mary Berg. What a way to make our day sparkle! Our first evening was spent wandering the grounds and then visiting Elora for a beautiful meal at a local Restaurant. 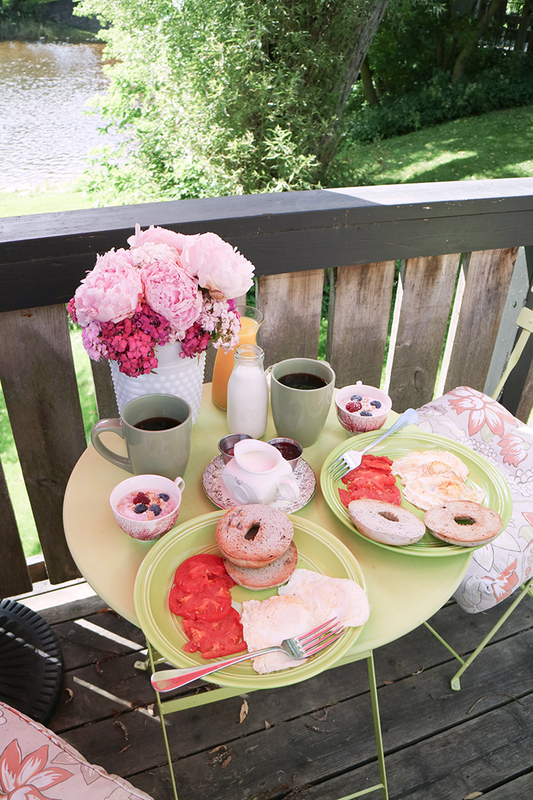 We kicked off Saturday with breakfast for two on our private deck. It’s rare that we ever get to enjoy a quiet morning on the weekends, so on this particular morning, we embraced our time making breakfast together (all food items were provided by Olde Bridge Place), and sipping on a La Marca mimosa! The day was followed by a visit to St. Jacob’s Farmers Market, where we feasted on fresh fried apple fritters and filled our bags with a variety of fresh produce to gear up for an afternoon picnic by the Kissing Bridge. Our private suite at Olde Bridge Place was situated just next to the Kissing Bridge. It was the perfect spot for our tranquil afternoon. The Kissing Bridge also commonly known as the West Montrose Covered Bridge is the last wooden covered bridge in Ontario and the oldest such bridge in Canada. It is still used today by pedestrians, buggy traffic and cars to cross the Grand River. We brought along fresh peaches, raspberries, blueberries, and a couple of homemade sandwiches from the corner general store. I honestly can’t recall the last time we just let the clock tick, with no agenda in hand. Before dinner at a different local Elora restaurant, we changed into our swimwear and paid a visit to the famous Elora Quarry. Apparently once a secluded spot, since its recent feature on various blogs, it’s become very popular! If you’re interested in visiting this spot to soak in some sun, I highly recommend that you go early! We waited just over 45 minutes in the car before we arrived. Nonetheless, it was a great time, sunbathing by the beach. I would have never thought to visit the quaint town of Elora if it wasn’t for our friends at La Marca Prosecco. If you’re interested in finding the time for a weekend getaway just 1.5 hours away from the city, Elora is a fabulous option. Don’t forget to bring along your La Marca! 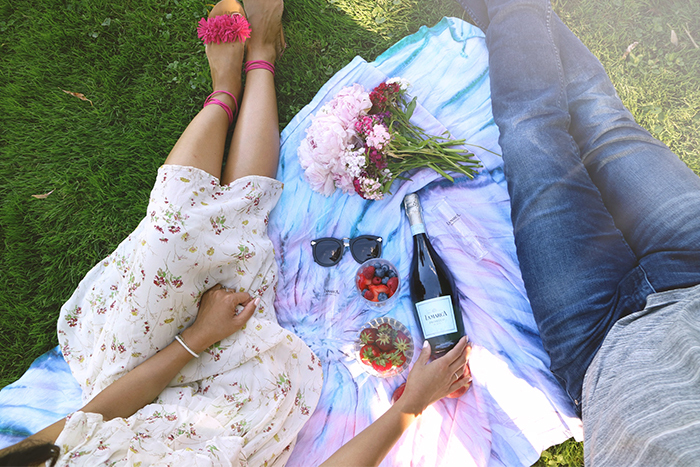 Surprise weekend getaways are rare, but celebrating with a glass Prosecco at home or with friends can add that extra sparkle to your day! 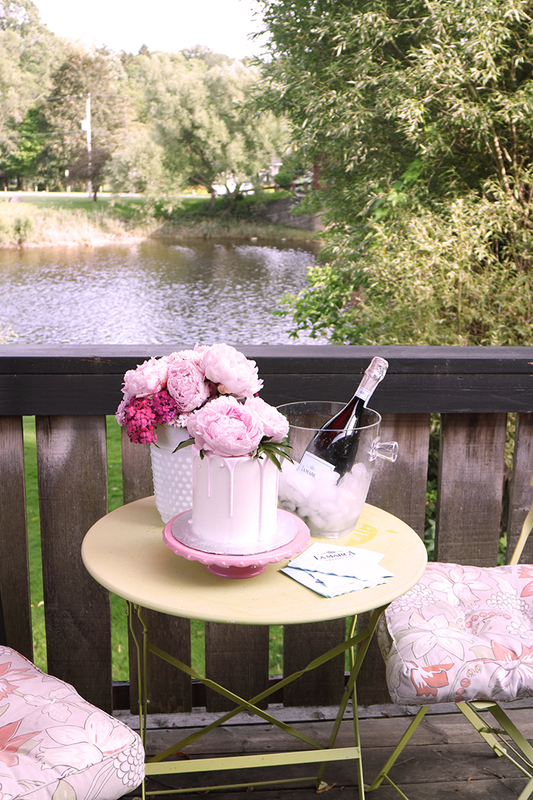 A very special thanks to La Marca Prosecco for the Surprise and Delight weekend. Tell me, what would make YOUR everyday sparkle? Comment below, and you too, may be surprised and delighted!